It is only proper that the first exploration party known to have floated down the Green River through the Flaming Gorge of northern Utah was led by the first director of the U.S. Geological Survey. 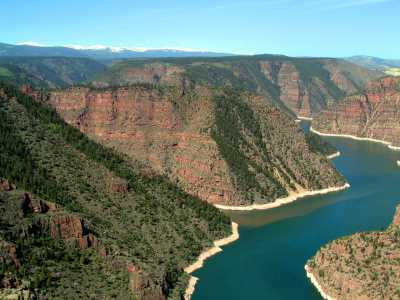 Of all the wondrous canyons that have been flooded by dams on the Colorado River, this canyon encompassed by the Flaming Gorge National Recreation Area is perhaps the most dramatic geologically - and when you compete with the likes of Lakes Powell, Mead, and Mojave you have to be superlative. The more southerly canyons down the drainage of the Green and Colorado Rivers are carved into rocks of the Colorado Plateau and the Basin and Range Provinces. 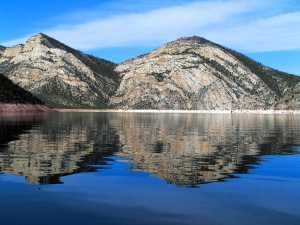 Flaming Gorge is sliced into the northeastern flank of the Uinta Mountains, one of the many ranges of the Rocky Mountains Province. 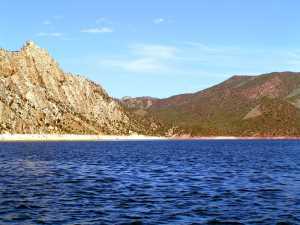 Therefore, the large-scale geology here is unique among the Colorado Lakes. 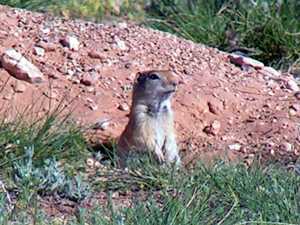 The Utah Field House of Natural History, in Vernal, Utah, just south of Flaming Gorge is an excellent place to visit to acquaint yourself with the Natural History of the region. There are brochures to pick up that will guide you on a drive through geologic history, on Highway 199 north of Vernal, en route to Flaming Gorge. The geologic formations are identified on the drive by road signs. 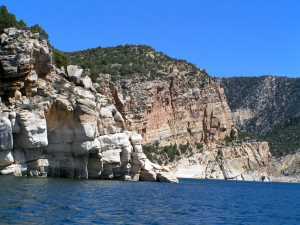 There is no more dramatic way to see the geology of Flaming Gorge National Recreation Area than by the route pioneered by Powell, on the water. 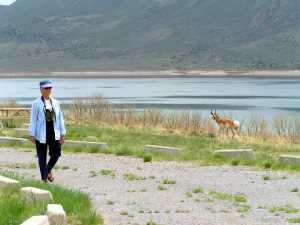 So, we will begin our excursion by launching at Cedar Springs ramp, near the dam, at the southeastern end of the Rec. Area. But, first, a digression. We are here to observe the deep history of the area. History, whether geological (deep), human (dare I say shallow? ), or otherwise, is a fascinating subject. One must start with facts - just the facts. Irrefutable, and from any perspective, unarguable. Then, from the facts, you create multiple working hypotheses - contrasting grand ideas to explain the facts. Beware!! This is the junction where historians or scientists go awry. Differentiating between the observations of fact and the creation of ideas to explain the facts is tough! Then, if there are heaps of facts to support one hypothesis, and only one, scientists evolve that "winning" hypothesis into a Theory! Notice, there is nothing theoretical about a theory to a scientist. Before an idea is elevated to the lofty platform of Theory, there's a library full of replicable facts to support it, and the other proposed hypotheses are discarded for lack of factual support. There is nothing higher than Theory to a scientist. To most other folks, there is something higher - Truth! A scientist is always seeking truth, but simply can't find, Truth. There's this possibility that some new hypothesis, supported by newly discovered facts, might raise its questioning head! There are few Theories in any science - although there are many hypotheses that just haven't the mounds of irrefutable fact yet. That's how scientists make a living - observing facts, formulating multiple hypotheses supported by facts, and trying to pick which hypothesis best fits the facts. For instance: I lean over and pick up a rock. We all must agree it is indeed a rock (it might be plastic, or plaster, or some such). OK, agreed, a rock. Now, I declare that the rock is red. Bingo! One of you is colorblind, and won't agree. 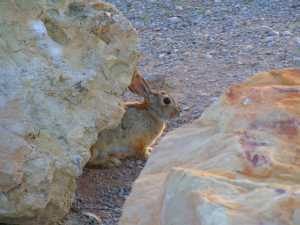 Another is an artist, and there are 5,684 varieties of the species red to her. So, geologists have a solution. I pull out my color card. My what? Yep, the Geological Society of America (no less an authority) has a small book to carry in the field with hundreds of color swatches - you know, the kind you usually see in a paint store. Each swatch has a number. So, we put our rock next to the swatches and match. We all agree it is #248. I declare that the rock is composed of sand grains. This starts a discussion - how big is a sand grain? Could they be silt grains, or small pebbles, or whatever. What is sand? Is salt sand? How about pepper? The GSA has another solution - sand is defined by all geologists as a size - only a size - doesn't matter about its composition. Well, what size? The GSA has carefully defined the size of a small, medium, and large sand grain and even has a small book of size swatches! Incredible! OK, we finally agree, sand. Well, you get the idea. Just describing the facts, a red sandstone, can be tough. But it must start there - with the facts we can all agree on, following carefully defined designations by the Geological Society of America, or some such. Now, this is where the fun begins. To determine history, we must use the facts to explain the origin of the rock. First, try to figure out why the rock is red? Rusted iron, volcanic heat, or spray paint? Etc. Etc. Or, the origin of the sand grains? Volcanic dust, beach sand, wind blown dune sand, or kitty litter? Etc. Etc. And, this is just for an old hunk of red rock I happened to pick up for this illustration. Imagine the task for human historians. Why, "just the facts" is an almost impossible concept. And then to explain the motives? … the reasons why? … perhaps the results? Whew!! Maybe this digression explains why scientists - real scientists (there are plenty of phonies, some with big degrees) - never use the word, never … and always refuse to say, always!! Hmmm! A real scientist is a doubter - a questioner - a real pain in the patooty! You don't want to ask her or him to your Saturday evening cocktail party. Most folks have their minds made up (phooey to the phacts), and the scientist will throw in a monkey wrench, and ask, "Why?" or "Prove it?" or "Can you support that idea?" What was a quiet, friendly discussion becomes a heated argument with the scientist constantly challenging the facts, and certainly disputing the conclusions! That is how science and scientists operate and what makes them different from most folks (and intolerable to most folks). They are trained to doubt - to question - to discuss (not argue!). They simply don't accept conclusions, and only with difficulty, the facts. What? 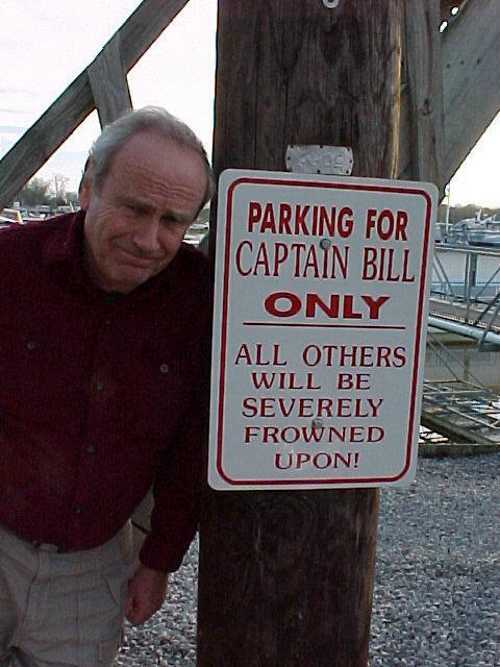 Which Bill? Why? Prove it? Well, with that process of deciphering history in mind, let's take our excursion into geological history (I hope you won't accept this tale, but will doubt and come to your own conclusions - but remember, only based on FACTS!). History is perhaps best told from past to present, or geologically, from the bottom to the top, so we will start our journey at the oldest rocks. 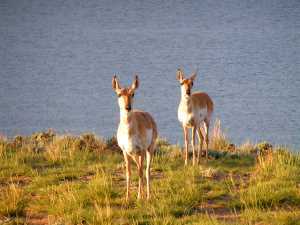 These are found near Flaming Gorge Dam, near the town of Dutch John, Utah north of Vernal. The bluffs and hills near the launch ramp display well-bedded sequences of reddish sandstone and pebbly conglomerates. A unifying theory in geology has evolved only in the past fifty years - The Theory of Plate Tectonics. Alfred Wegener proposed this as an hypothesis that he termed Continental Drift. He had observed that you could take a scissors and snip along both margins of the Atlantic Ocean, remove the ocean, and then slide the continents of Europe/Africa and North/South America together and they would fit. He went on to match geological features across the now snipped-out ocean, and even found critters (who couldn't swim) of the same time period that matched across the removed ocean. Using these facts, his hypothesis suggested that these continents had drifted apart and that the Atlantic Ocean filled the resulting gap. His hypothesis was denied the lofty heights of Theory since there were no mechanisms to support his hypothesis of moving continents. Geophysical research came to the rescue. Careful study of magnetic grains in rock sequences indicated that the magnetic poles of Earth spontaneously reversed periodically. These reversals could be dated by radioactive decay retained in the grains. Oceanic research with new sonar, magnetic and gravity instruments yielded new facts from the Atlantic Ocean floor - sea floor stripes! The stripes were magnetic bands of different polarization. Using dating techniques, the polar reversal magnetic stripes were shown to be younger from west to east until they reached the mid-Atlantic Ridge in the central Atlantic (Iceland sits atop the Ridge). Then, continuing easterly from the ridge, the stripes were proven to be mirror images of those mapped to the west of the ridge. The hypothesis, termed Sea Floor Spreading, proposed new rock to be added to the sea floor along the ridge (Iceland is volcanically active). The sea floor, the hypothesis suggested, spread outward from the Ridge adding new material at the Ridge. In the meantime, the polarity of Earth's magnetic field reversed, yielding a "stripe" of differing polarity. Through time, the spreading seafloor would show increasingly older stripes away from the Ridge until the oldest would be found adjacent to the continents. Since that discovery, all the ocean floors have been studied. 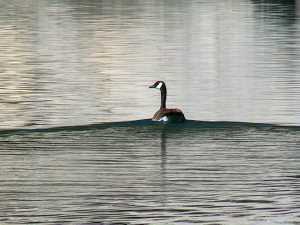 All have older stripes outward from ridges, so all are presumed to be spreading. This spreading, it was proposed, would be able to "shove" continents apart as the sea floor grew through time. Now there was a mechanism - deep subcrustal thermal currents rise beneath ridges, making them volcanically active. The rising currents then shove the sea floor laterally. Sea floors are underlain by a thin crust of black, heavy volcanic rock. Continents are made up of light-colored and light-weight continents, a buoyant thick crust floating on the heavy, black stuff below. When the moving sea floors impinge on the continents, they either shove the continents laterally (most of North America, welded to the spreading Atlantic sea floor, is being shoved westerly) or, being heavier, they may shove under the continental margin (as is occurring under Washington and Oregon). With the new data, and tens of thousands of scientific papers for support, Wegener's revised hypothesis has been elevated to the Theory of Plate Tectonics. The moving hunks of crust are termed plates, and tectonics (from the Greek, tectos - to build) refers to the building and moving of the plates. 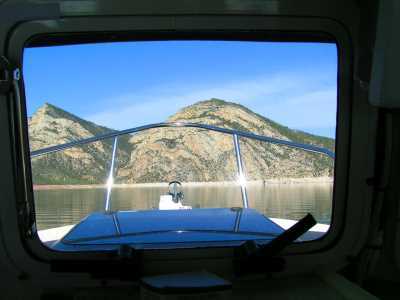 Back to our drifting along on the lake near Flaming Gorge Dam. We need an hypothesis to explain the thick sequence of red sediments near the dam. A little over one billion years ago, thermal heating below this region caused an upwelling of subcrustal material beneath our ancient continent. The hot stuff created an east-west crustal bulge. The summit ruptured as the uplifted blocks on either side pulled apart. A deep trough slowly subsided along the summit of the bulge. Erosion attacked the uplifted highlands on either side of the trough. Streams carried the eroded detritus, sand and gravel, into the trough. The thermal upward push continued for millions of years, and the trough continued subsiding at about the same rate as uplift. 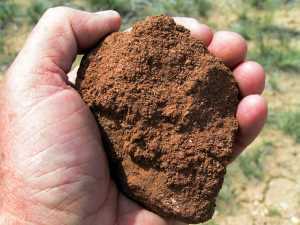 Gradually, the sediments accumulated in the rift until more than three miles of horizontally-bedded stream deposited sand and gravel accumulated - the Uinta Mountain Group. 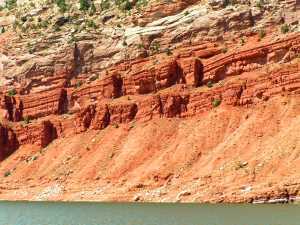 The walls of Red Canyon, the most southerly of the Gorge's canyons, rise almost a half mile above the lake, but that is only a small portion of the total thickness of the trough-filling red beds. For unknown reasons, and perhaps a random explanation, the upward thermal pressure ceased and erosion attacked and leveled the bulge. 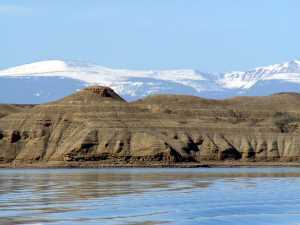 In the early Paleozoic (Old Life, 500 million years ago) Era, a shallow sea spread across the continent and eventually buried the redbeds of the Uinta Mountain Group beneath a thin layer of beach sand. The sea retreated, and erosion attacked the low, almost featureless landscape. Three hundred million years ago, a warm, shallow sea invaded across the continent, depositing limestones teeming with fossilized remains of marine shells. 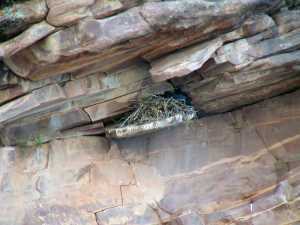 These rocks are exposed to the south of the lake, but can't be seen in the river canyons. During the Paleozoic, the Iapetus Ocean separated the fused continents of North/South America from the joined continents of Europe/Africa. (Iapetus, in Greek mythology, was an antecedent of Atlantis). Slowly, the Iapetus Ocean shrunk, forced beneath the adjoining and approaching continental plates. Eventually, the continents collided as the oceanic plate was totally subducted under them. The Appalachian Mountains crumpled upward from the collision, and far to the west, mountains, like wrinkles in a carpet, thrust upward in Colorado and New Mexico - the Ancestral Rockies. Erosion attacked the uplifted rocks, and detritus spread into the shallow sea in the region of our present-day lake. Three hundred million years ago, white sands were winnowed from the detritus and blanketed the shallow continental slope - the Weber Sandstone. 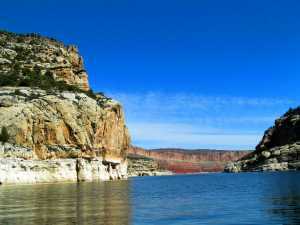 As we cruise westerly from the dam, we travel through Red Canyon and the beds of the Uinta Mountain Group. Suddenly, the beds tip to crazy angles and disappear downward. White beds ahead, equally tilted and warped, rise abruptly and in contact with the plunging redbeds. We have crossed the Uinta Mountain Fault. For a few minutes, we will have to fast forward to understand what we have just observed. Near the close of the Mesozoic, only 70 million years ago, massive continental blocks, small plates we term disjunct terranes, slammed into today's western margin of North America, gluing on Nevada, California and other bits of today's map. These continental collisions forced sea floor under the margin of our continent. But, like you can't really hide dirt for long under the carpet, the subducting sea floor under the continent impinged against the subcrust with tremendous force. Perhaps, it pressed against the 'roots' of the Ancestral Rockies. Suddenly, the continental crust ruptured and thrust upward over itself. 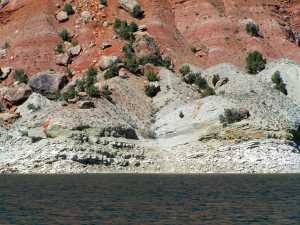 The over-riding block shoved the Uinta Mountain Group over younger Paleozoic oceanic deposits bringing the ancient red sandstones into contact with the white Weber Sandstone. The contact is tipped and bent, from the tremendous pressures between the huge blocks of crust. 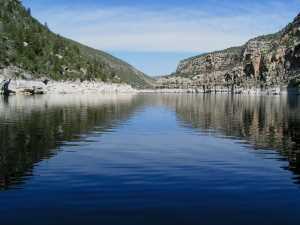 Thus were the present-day Rocky Mountains formed, and specifically, here at Flaming Gorge, the Uinta Mountains. Crossing over the fault, we continue westerly and northerly, entering Kingfisher Canyon. The towering white walls of Weber Sandstone bound the narrow canyon. 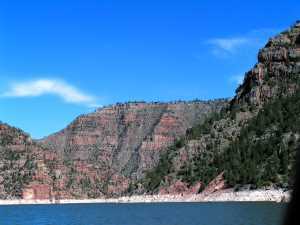 Ahead, through the narrow entrance to the canyon, we see bright red rocks standing like a wall blocking our passage to the north - the western extension of Flaming Gorge. These redbeds are dipping (sloping) away from us, to the north, and overlie the Weber sandstone with a thin intervening bed of latest Paleozoic phosphate beds, the Park City Formation. Over a quarter million tons of phosphate fertilizer is mined nearby from these beds. The Park City was the last marine deposit before the uplift of the Rockies and the temporary retreat of the sea. The bright red rocks over the Park City comprise the 200 million-year-old Moenkopi Formation, the earliest rocks of the Mesozoic (Middle Life Era). The Mesozoic is the Age of Reptiles, the time period when dinosaurs ruled the land. The red rocks were deposited on mud flats by slow-moving muddy streams. Some sandstones represent period floods when faster-moving water could carry sands and gravels. 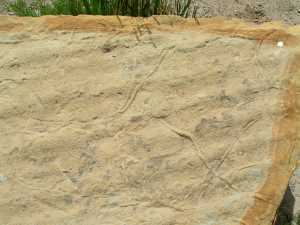 Early dinosaurs tracked these muds, and their bones and teeth have been found in the sandbars of the ancient streams. At full reservoir levels, we can cruise easterly parallel to the Moenkopi red slope. But, as when I write this, with lower water levels one is forced to turn southeast and re-enter the Weber Sandstone in Horseshoe Canyon. Go that way, no matter the water level, for you are in for a delightful journey deep within the thousand-foot-high white walls of the Weber. Soon, around the Horseshoe Bend, you will have a bearing of northwest. 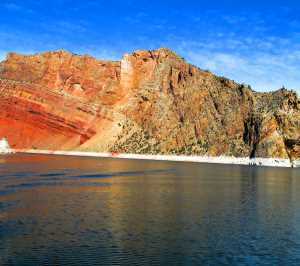 You will emerge less than a half mile from where you entered Horseshoe Canyon with the Moenkopi red shales and sands of Flaming Gorge ahead. 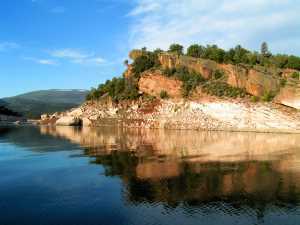 Heading north and then easterly you will emerge from Flaming Gorge through the steeply-tilted walls of Nugget Sandstone. This sandstone is called the Navajo farther south in Utah, and makes many of the Canyon walls of Lake Powell and Zion National Park. Here on the tilted north slope of the Uinta Mountains, the Nugget (Navajo) didn't have the opportunity to form those marvelous canyon walls so heralded at Lake Powell, where they rest horizontally on the Colorado Plateau. The sandstone displays the famous sweeping cross-beds characteristic of the desert sand dunes it once was. Back then dinosaurs walked the dunes in a desert as large as the present-day Sahara. 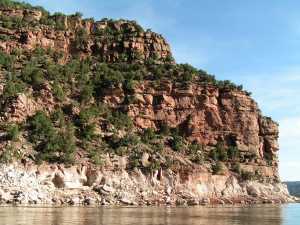 North of the steep wall of Nugget, marking the northern entrance into Flaming Gorge, the terrain changes immediately. At once, you know you have entered a different geologic realm. The landscape is low and rolling, with badlands of gray shale and lakeshore cliffs of tan/yellow sandstone. You have entered the deposits of a late Mesozoic sea - the final days of the dinosaurs - the Cretaceous time (means chalky, named at the chalky White Cliffs of Dover). Among other formations, some of these beds are the Mancos Shale and the Mesa Verde Group (sandstones and shales), seen by millions on the drive from Mancos, Colorado to Mesa Verde national Park. These beds are near-shore marine deposits, with beach sands, sand bars, and tidal flats. 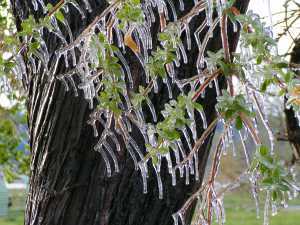 They contain leaves, twigs and branches washed down near shore streams as well as sea shells, reptilian, and fish remains. Huge earth-shaking events occurred just as the last of these beds were being deposited. There is widespread evidence that a massive meteor struck earth about where the Yucatan peninsula is today. The flaming descent, huge clouds of dust from pulverized rock, and overwhelming tsunamis (sea waves) incinerated, choked, and drowned many of Earth's terrestrial inhabitants. The black cloud smothered sunlight and a long winter of many years froze much of the land surface and deeply chilled the oceans. The dinosaurs were doomed. 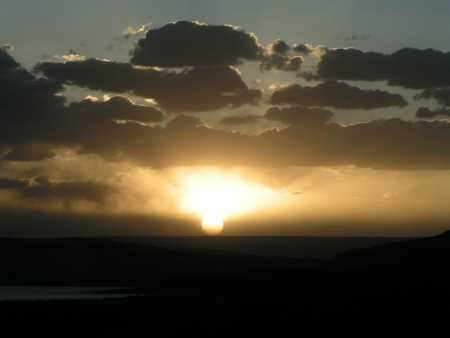 Earthquakes rocked the area of the Uinta Mountains as the subducting sea floor forced up massive sections of crust and the Rocky Mountains rose from Mexico to Alaska. It was a tough time for life, and most failed the test. 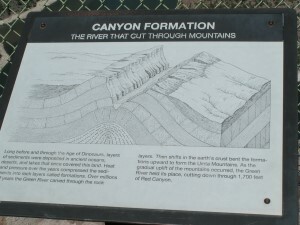 The origin of the deep canyons cutting into the Uinta Range is thought to be similar to that of the Colorado River cutting through the other downriver canyons. The river was there before the uplifts. 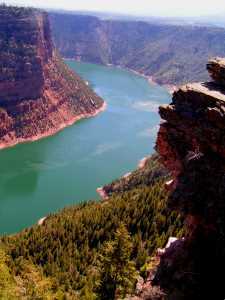 In this case, the Green River was there before the Uinta Mountains were upfolded. So the river maintained its level, and the land rose around it. 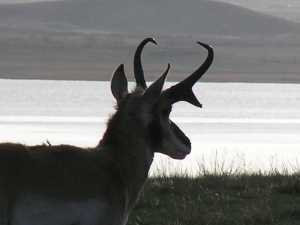 There are some wonderful animals to be seen at Flaming Gorge, and we decided to include a few photographs here to let you see some of the critters that you might see on a visit to the Recreation Area.